Padmasana is the archetypal yoga pose and a great metaphor for the unfolding process of yoga itself. It gives various physical benefits: increases circulation in the lumbar spine, nourishes and tones the abdominal organs, strengthens the ankles and legs, and increases flexibility in the hips. More than this, it’s a powerful heart opener and like no other asana gives a deep sense of calmness, rootedness, stability and natural alignment. When mastered it quiets the brain and draws your awareness inside, transforming the body in the silent abode of the soul. Helpful in the practice of pranayama and meditation, it can be combined with other asanas in the advanced practice. The course is not suited for yogis with knee problems. Please register here (please note the name of the course you want to register for and your name and surname). A weekend getaway with Naomi, Brigitte and Sofia. Read the full retreat description here. A full week of yoga, meditation and delicious vegan food in the Italian mountains with Anya and Liina. A weekend getaway with Naama, Alex and Liat. This year we´ve raised in total 1479,28 € for the charities we support! 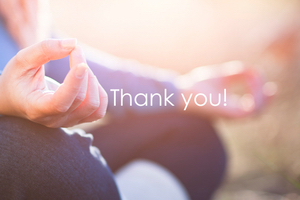 Thank you to everyone who has joined us for charity meditation sessions, workshops, or simply given a donation in the studio.